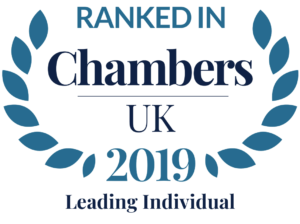 Lee is a specialist consumer law barrister, with a particular focus on regulated financial services, and is recognised as a leading practitioner in this area by Chambers & Partners. Lee is a contributing editor to “Consumer and Trading Standards: Law and Practice” and the “Encyclopedia of Financial Services Law”. Together with Jonathan Kirk QC and Thomas Samuels he is the author of the new book “Mis-selling Financial Services”. He is also an advocacy trainer for the Inner Temple. Lee has also been instructed to advise on whether or not certain business propositions amount to regulated activities under the Financial Services and Markets Act 2000 and has experience of drafting and reviewing financial documentation. He has specific experience of advising in relation to the creation of novel financial products. Lee also advises creditors on compliance with the FCA’s handbook and has experience of hearings concerning the revoking of consumer credit licenses. In his role as a specialist consumer law barrister, Lee is well acquainted with consumer contract claims and regularly represents businesses in consumer law based litigation from satisfactory quality disputes to claims about penalties and unfair terms. Lee also advises businesses on compliance with all consumer legislation, including the Consumer Rights Act 2015 (and its predecessor legislation), the Consumer Protection from Unfair Trading Regulations 2008 and the Consumer Contracts (Information, Cancellation and Additional Charges) Regulations 2013. In the recent past, Lee has carried out such work for a university, an international car rental company, a major bank, a racecourse operator, a large letting agency, a gym and a national funeral service provider. Lee has developed a specific practice dealing with the “Green Deal” and other renewable energy incentives. Lee has advised a number of clients in relation to solar panels and other renewable energy products, Smart Meters, Feed In Tariffs, the Renewable Heat Incentive, the Renewable Energy Consumer Code, ownership arrangements, documentary requirements, mis-selling and other regulatory risks. Lee also has experience drafting particulars of claim for enforcement action under the Enterprise Act 2002. Lee has extensive experience of mis-selling claims and is a co-author of “Financial Services Mis-selling”. He has particular experience defending financial institutions in mis-selling claims brought under section 75 and/or 140A of the Consumer Credit Act 1974. Lee also lectures for MBL Seminars on mis-selling topics. Before commencing work at the Bar, Lee worked at the Financial Ombudsman Service, principally dealing with financial mis-selling complaints. Lee has been instructed as a specialist consumer law barrister in a wide range of commercial matters including cases involving: the sale of goods; the supply of goods and services; distance selling; doorstep selling; timeshare agreements; and alleged unfair terms. Hitachi v Topping and Paradise Trading SLU : Lee represented Paradise in relation to timeshare mis-selling allegations levelled against it. The matter was scheduled for a three day trial before HHJ Owen QC but the debtor discontinued his counterclaim and did not pursue his defence following Lee’s cross examination on the first morning of trial. During the trial it became apparent that the case was driven and funded by a claims management company (ITRA) which was targeting Paradise’s clients. A third party costs order was obtained against ITRA. Leeds Building Society v Hayford and Aggrey : Lee represented the Claimant in a possession and money claim which was defended on the basis of alleged mortgage mis-selling. The claim involved allegations of misrepresentation and a failure to assess suitability and included an unfair relationship claim under section 140A CCA. Following a two day trial before HHJ Luba QC, the mis-selling allegations and other purported defences were dismissed and the possession order made. Moore & Hegelund v National Westminster Bank plc  and : Lee represented the Defendant in a claim regarding a defective survey of a mortgaged property. At first instance the judge found that the Claimants could recover the cost of repairs and were not limited to the difference between what they paid for the property in reliance on the survey and what it was actually worth. On appeal, Mr Justice Birss overturned the Recorder’s finding on the basis of quantification and confirmed that the correct measure of damages was diminution in value. However, Mr Justice Birss confirmed that on the specific facts, the Recorder was entitled to use the cost of repairs as a means of determining the diminution in value. Universal Advanced Technology Ltd v Lloyds Bank plc : Led by Giles Wheeler of Fountain Court, Lee represented the Respondent before the Court of Appeal. The Appellant argued that it was entitled to claim sums reversed from its account as a debt, the Respondent argued that this was a change of case from below and that, in any event, the Respondent would have a complete defence by way of a cross claim in unjust enrichment. The Appeal was dismissed. Lee had previously successfully represented Lloyds Bank at first instance and in the first appeal. A Shade Greener Ltd v Ravenheat and Pickersgill : Led by Fred Philpott, Lee represented the Claimant in a multi-million pound dispute relating to the quality of over 3,000 domestic boilers. Lee and Fred were successful in joining the director of the Defendant company as a Second Defendant in his personal capacity and Lee oversaw an e-disclosure team which completed a large review against a very tight deadline. The matter settled on confidential terms. Smart Save Solutions Ltd : Together with Jeremy Barnett, Lee represented Smart Save before the Renewable Energy Consumer Code (“RECC”) Adjudication Panel where it was accused of various breaches of the RECC Code. Smart Save admitted some breaches and denied others, each of which was addressed in detailed written and oral submissions. Ultimately, the Adjudication Panel imposed a period of enhanced monitoring but did not terminate Smart Save’s membership of the code. Morgan & Morgan v Welcome Financial Services Limited : The Claimants sought damages and ancillary orders in relation to the alleged mis-sale of a number of insurance policies. Lee represented the Defendant at the trial in Manchester. The Defendant was unable to call any of the original sales representatives as witnesses; nevertheless, the claim was dismissed in its entirety. Weatherill v Lloyds TSB Independent Financial Advisers Limited : The Claimant sought damages for the mis-sale of a mortgage endowment policy; the Defendant’s principal case was that the claim was statute-barred under the Limitation Act 1980. Lee represented the Defendant at first instance and at the appeal. The claim and appeal were both dismissed. Lee is authorised to accept direct access instructions and will act on this basis, usually for businesses and professionals. Lee is a keen runner, a film enthusiast and an overly ambitious amateur cook. I am a specialist consumer law barrister providing legal services at Gough Square Chambers. You can contact me at lee.finch@goughsq.co.uk , on 0207 353 0924 or at Gough Square Chambers, 6-7 Gough Square, London EC4A 3DE. I am also Head of Pupillage at Gough Square Chambers. As Head of Pupillage, I also process information to allow me to run the pupillage recruitment process. You have the right of access to your information, the right to correct inaccurate information, the right to erase information (to be forgotten), the right to object to or restrict my processing of your information and a right to information portability.